And if you’re the statue there’s not a whole lot you can do. In my case, being in the kitchen is not even helping, so I’m pulling out all the Dorie recipes I’ve made in the past little while and giving you those. To accompany these amazing goodies from my favourite book ever is a sampling of my current playlist. Be warned that although the baking is sweet, the songs are decidedly less happy. 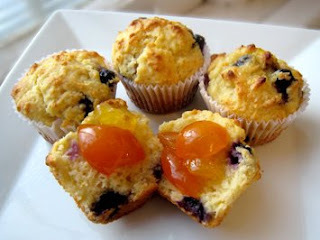 Blueberry Kumquat Muffins, (Orange Berry Muffins, pg. 3). 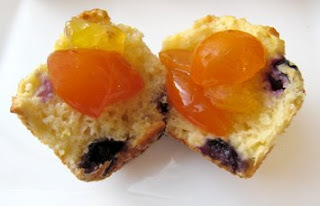 When I was on my kumquat kick I made Kumquat Compote, (mainly because that’s super fun to say) and then needed something to put the compote on so I made Dorie’s Orange Berry Muffins but replaced the orange with kumquat. When they came out of the oven the kumquat flavour was fairly subtle and registered more as just a hint of citrus. That changed when I added a big spoonful of kumquat compote on top of a split muffin. Nine Inch Nails, Right Where It Belongs. I never thought I’d listen to Nine Inch Nails. It turns out I was wrong. I’m wrong about a lot of things. 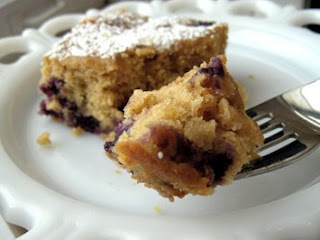 Blueberry Brown Sugar Plain Cake, (pg. 36). It’s called a plain cake, but that certainly doesn’t refer to the flavour. This cake was perfect as an afternoon snack with a cup of tea. John Frusciante, The Past Recedes. Frusciante is the guitarist and back up singer for the Red Hot Chili Peppers. He’s released quite a few solo albums. Some of them are a little odd, but I like his 2003 album Shadows Collide with People, I’ve been listening to a lot of it lately. 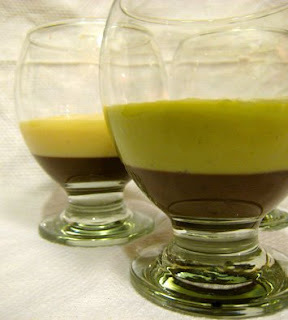 Split Level Puddings, (pg. 384). I made half of the vanilla layers green tea by adding matcha powder. If I had of been thinking ahead and wanted to get fancy I would have done Tri-Layer Puddings and had a layer of chocolate, vanilla and matcha. There’s always next time. Coldplay, Fix You. Coldplay is another group I didn’t think I liked. It grew on me and now it’s stuck. Lead singer Chris Martin has been collaborating with all sorts of other artists lately including Jay Z and Kanye West but has also been working on a new Coldplay album which is due out in March of this year. Cherry Fudge Brownie Torte, (pg. 284). 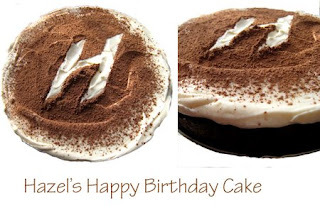 I made this for my cousin Hazel’s birthday. I didn’t have any dried cherries so mine actually had a strawberry-fig brownie base. It was tasty nonetheless. I couldn’t stop picking at it when it came out of the oven and was glad that the vanilla mousse covered up all the holes I made. Nirvana, Where Did You Sleep Last Night. This song has been done by numerous artists and was first made popular by Lead Belly in 1944. You can’t escape the past. 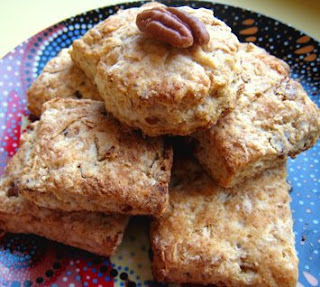 Pecan Sour Cream Biscuits, (pg. 25). These take no time at all to whip up and are nice as is or with a little jam. If you’ve seen a lot of these around lately that’s because they were recently chosen as a Tuesdays with Dorie recipe, (so were the Orange Berry Muffins for that matter). Red Hot Chili Peppers, Desecration Smile. This song is off their double disc album Stadium Arcadium, which I like almost all of. I started off only listening to only a couple of the songs but was thankfully introduced to the entire playlist. It was a toss up deciding which song to pick, I think the runner up was Wetsand. 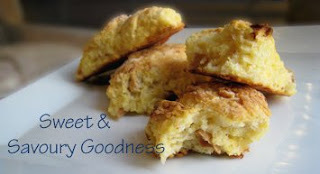 Apple Cheddar Scones, (pg. 32). I really enjoyed these. I love savoury and sweet combos so the sweet apple with salty cheddar was a big hit for me. There you have it. A plethora of Dorie recipes, I'm slowly making my way through the entire book and slowly making my way through everything even if every mile I walk feels like five. Posted by Brilynn at 8:42 p.m.
gosh, you are definitely making your way through the book :) everything looks and sounds delicious! can you send me some of that pudding? Hi, I'm a recent reader of your blog. I really enjoy it :). It's very relaxing. Thank you for sharing!! Statues are easily cleansed by the rain. :) Hope you feel better. Wow - so much Dorrie, so little time. These all look great. Everything looks yummaroo! but how could it nmot be with Dorie and you? I can't imagine that just putting this post together didn't lift your spirits! Between the great baking and the music...well, it's making me feel great! So much pleasure going on here. That blueberry cake looks fantastic. Dorie Fever! okay so the real question is , what have you not made from the book? Everything looks yummy, bri. You have been *acitve* - at least you're being a moving target for those pigeons. 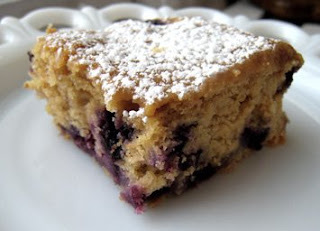 Especially like that blueberry cake - yum. All these sweets so close to dinner is making me VERY hungry! Cheers! Goodness! You've been busy lately making so many wonderful things. When is the last time you have seen the sunlight woman? Wow, you must be constantly in the kitchen making all those Dorie recipes. They are amazing. And the fact that you incorporated Nine Inch Nails into your post makes me love you more. Thanks for visiting my site and leaving me a nice comment! You have some delicious looking food on this site, I'll have to try it out. All of this food blogging could be dangerous to my figure. I can't wait to get into this months DB challenge. Wow, everything looks amazing as usual. So much Dorie. Wow all the goodies and the music have my head spinning. Wow! Dorie's been a stranger for me until lately - I'm now becoming a fan. Can't choose from all those wonders! Would it help to eat the pigeons? You call it squab and it's haute cuisine, plus it gets rid of the droppings. Great to have read your blog! wow! great to know that you had made some kumquat. I read from another blogger, she made small petite butter cake top with half kumquat compote and drizzle with pistachio nuts! It all looks so good. You can't go wrong with Dorie!! wow oh wow this is all very impressive! oh your blueberry cake looks amazing!! 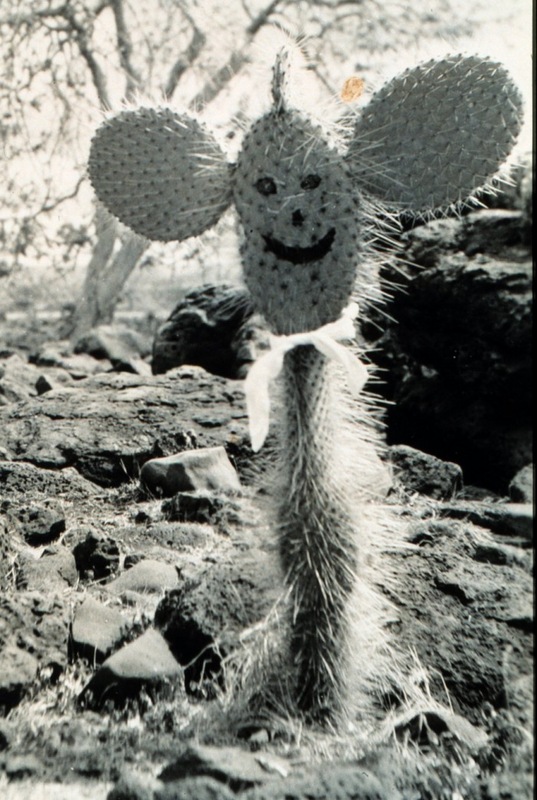 Brilynn, I came upon your blog (and Peabody's) almost a year ago but have never commented. I could not not go on my merry way to the rest of my long list of favorite food blogs without saying something first. You are the Dorie Queen!! what a wonderful idea of pairing vanilla and green tea! and everything looks so professtional! I feel the cafes missing something: Brilynn's creation! A clever combination of sweet and some bitter. Loved the entry. Hey Brilynn, someone came and redesigned your blog while you weren't looking! You seem to re-design more often than I do! Good work by the way. It took me a short while to work out the pigeon metaphor (I'm stupid like that!). You have! Look at all of the things you've made. That's impressive. I bought some kumquats the other day, and I have no idea what to do with them! I made a salsa with a couple, but...now I guess I need to make muffins. I like NIN and Coldplay. 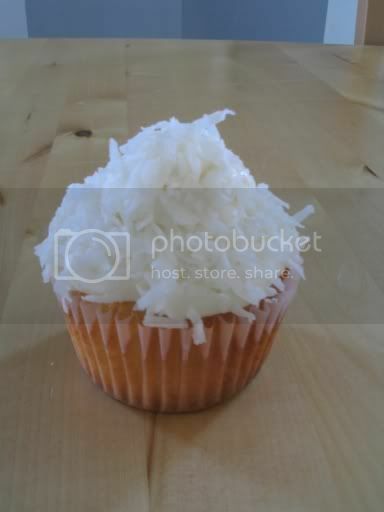 Dorie should hire you as her executive Taster/photographer ;)I love the Kumkat compote with the muffins. Any Dorie Day is a good day. Baking with Dorie makes everything better, as I'm now learning. I hope things are going better. Dare we ask about the shower? oh my goodness! wow, what a great collection of treats! that birthday cake is just awesome looking! This was a fun and entertaining post! Thanks for all the video links! And we really love the kumquats on the muffins! Wow - what a glorious array of baked goodies. And what an eclectic selection of music! I love, love, love Fix You, even though it makes me cry, as does Swallowed by the Sea. Have you listened to The Arcade Fire? Absolutely brilliant. I love the kumquat muffin recipe! You have the EXACT same taste in music as I do! Chili Peppers, Nine Inch Nails, Coldplay and Nirvana! Together with baking! You know the way to my heart!